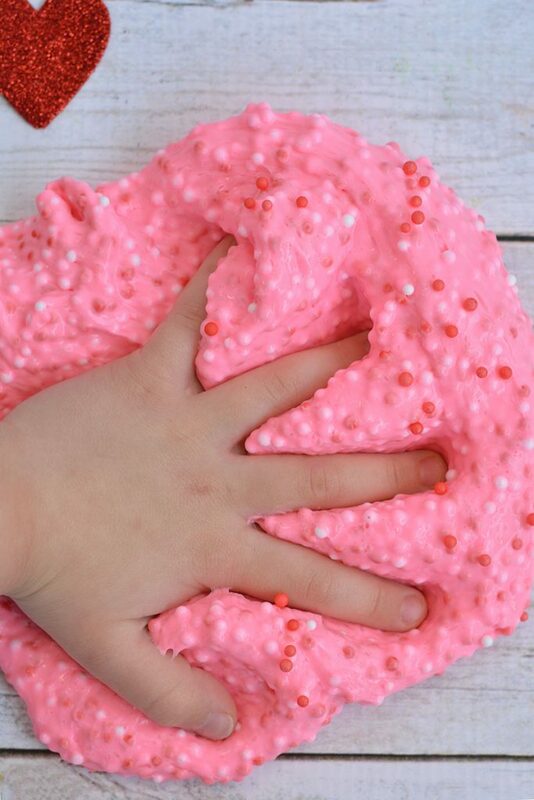 Make our easy Valentine Floam Slime that feels crunchy but still stretchy and moldable! 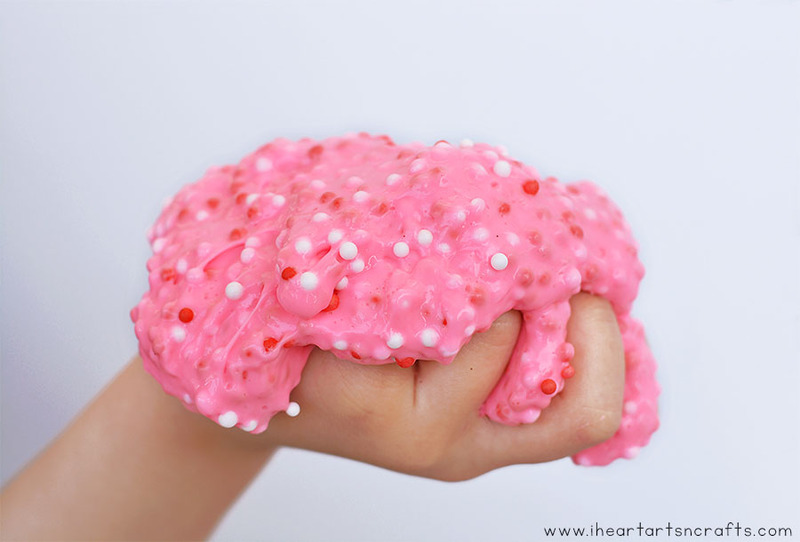 Floam Slime or otherwise known as Crunchy Slime is a slime-like substance that contains polystyrene balls that you can mold into shapes. 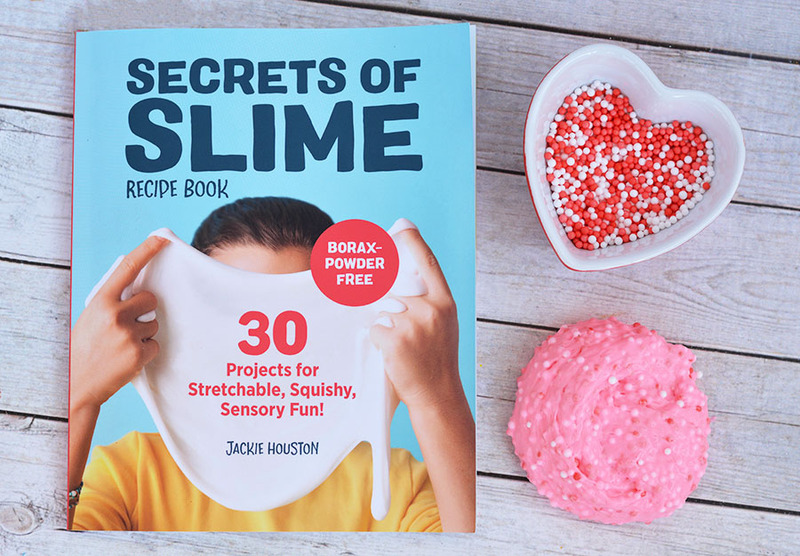 This slime recipe is just one of the few that we’ll be sharing as a sneak peak into the 30 kid-tested recipes that we have featured in our new Secrets Of Slime Recipe Book. 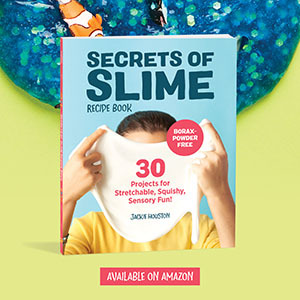 Secrets Of Slime is set to release March 19th, but you can pre-order the book HERE on Amazon. 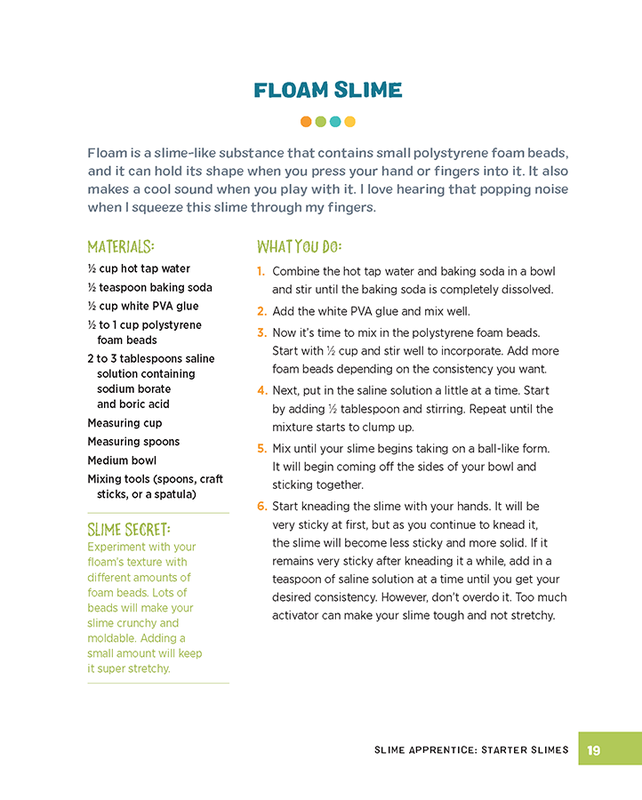 Secrets Of Slime is filled with easy step-by-step directions, tons of tips, and a troubleshooting guide for easy success. Once you’ve masted all 30 recipes you can jot down your slimy scientific observations and even create your own recipes in the slime diary located in the back of the book! 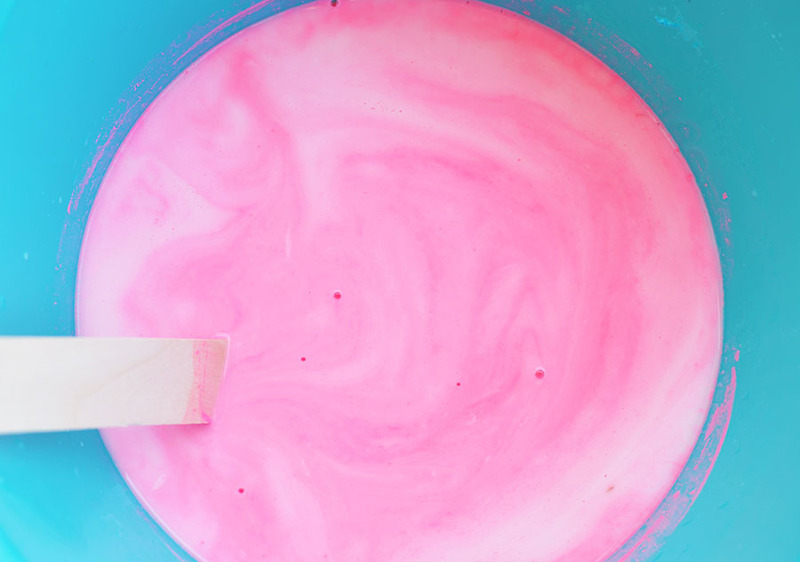 What I love about making homemade slime is that there are so many different ways you can make it. 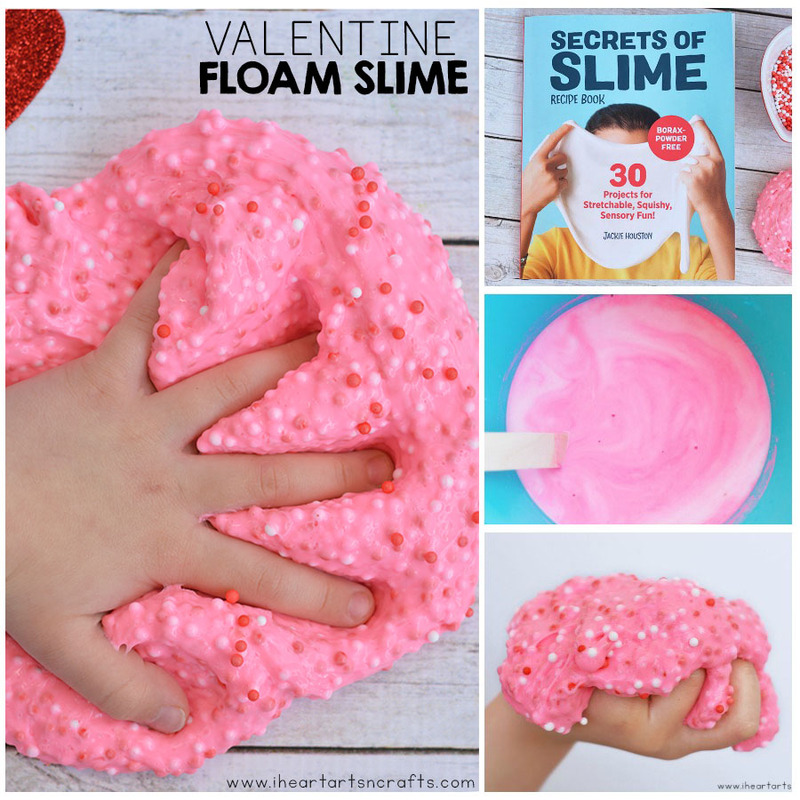 Using the directions above for the floam slime we gave this recipe a Valentine’s Day twist by adding in 2 tablespoons of pink paint (I wanted it super pink) after step 2. Then in step 3 we did a mixture of red and white polystyrene balls. In order to make sure that your slime turns out, be sure to read the instructions and the ingredients carefully. Do not substitute the ingredients in the slime or it can result in your slime not forming. The type of glue and saline solution you use is very important. 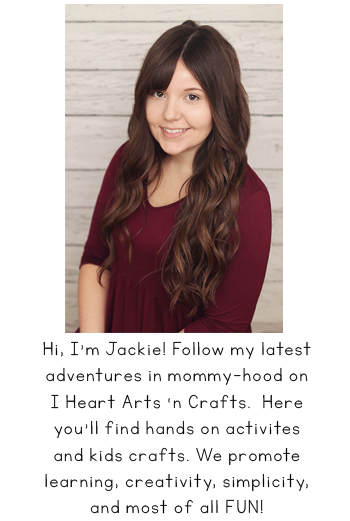 Always make sure you’re using saline solution that contains sodium borate and boric acid. And for glue, you need a quality PVA glue, I prefer Elmer’s for our slime recipes. Slime Storage: Store your slime in an airtight container or a Ziploc bag with all of the air pressed out when you’re finished. *Note: that this is not a recipe for human consumption. It is for play purposes only. Make sure to supervise young children.